The most popular site in Antarctica, perhaps undeservedly. Deception Island combines the novelty of sailing into an active volcano with the possibility of swimming, or at least wallowing, in thermally heated water. Yet, with the possible exception of Maxwell Bay on King George Island, Deception Island has little in common with the rest of Antarctica, and is dominated by derelict buildings and obsolete whaling works. This is an important part of Antarctica’s history, and most visit to see Whalers Bay, but the geology of the island is also unique and worth visiting. There are few places where volcanic activity is so fresh and easily observed. The island, lying some 15 kilometers (9 miles) south of Livingston Island, is nearly 13 kilometers (8 miles) in diameter and rises to 602 meters (1,968 ft) at Mount Pond. Deception Island’s distinctive horseshoe shape stands out on charts. Its name, which has been in use since 1821, probably came about because the mouth of the harbor is easy to miss. There are several different landing sites possible, each with their own advantages and problems. Within the sheltering caldera, it is usually reasonably calm, so there are no big seas or rough beach landings to manage, but it can occasionally be windier inside Port Foster than outside. While there is usually an occasional seal or penguin to pose for photos at most locations on Deception Island, there is comparatively very little wildlife inside the horseshoe of the island. The waters of Port Foster, the sheltered bay occupying the middle of the island, are several degrees warmer than the surrounding Bransfield Strait and Southern Ocean, and Antarctic sea life, especially zooplankton, is not adapted to these conditions. As there are no food sources, the larger wildlife generally remains outside the island. The external slopes of the island are a different story, and millions of penguins and seabirds breed undisturbed by tourists on the inaccessible outer beaches. 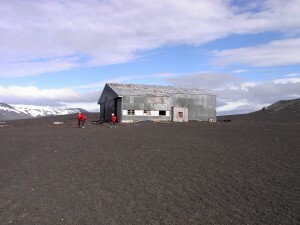 With the notable exception of Baily Head, visits to Deception Island are for history, geography, geology and views. 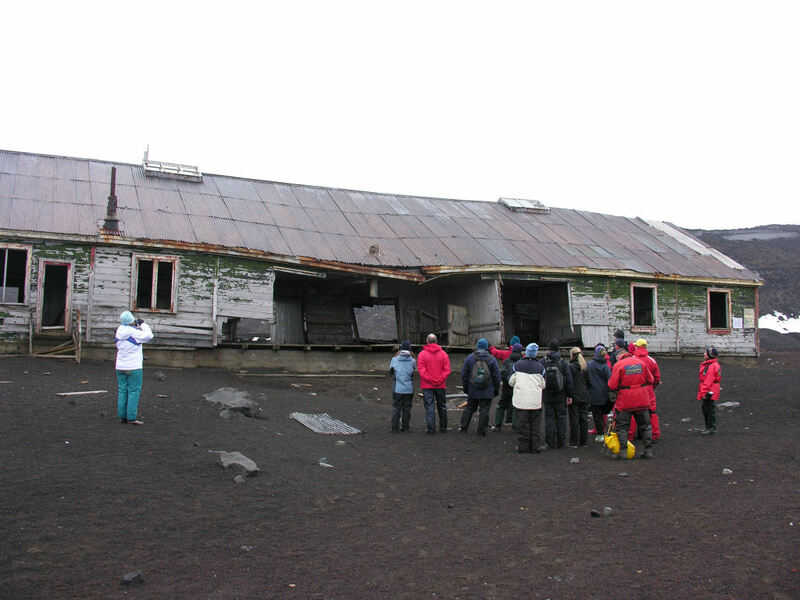 Deception Island has long history of attracting human interest. Much of the early exploration of the island was secretive, with exploitation for commercial gain (initially largely sealing) the main goal. The British Navy, visiting in 1829, made one of the earliest formal visits, they were there to perform pendulum and magnetic observations. By 1906 ship based whaling was becoming established on the island, followed by land based whaling. Scientific bases belonging to Chile, Argentina, Spain and Britain have all been built at one time or another. 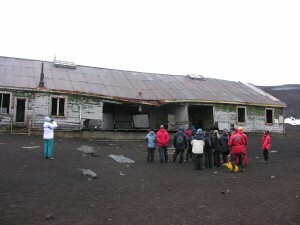 Since the end of commercial whaling, observing (and escaping) volcanic activity has been one of the major occupations of visitors to Deception Island.